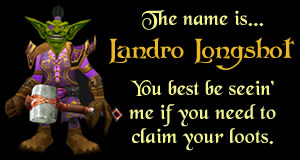 Landro's Lichling is a pet loot reward from the Landro's Lichling loot card. This card is the common loot card found in booster packs from the War of the Elements WoW TCG expansion. Landro's Lichling is a reskinned version of the Lil' K.T. pet loot available from the Blizzard store. Just like Lil' K.T., Landro's Lichling will randomly kill nearby critters with an ice block spell. He also laughs maniacally whenever his owner kills another player or when he slays a critter. Landro's Lichling counts towards the pet achievements. The Landro's Lichling loot card is a common loot card found within booster packs from the War of the Elements WoW TCG expansion set -- seated at a rate of 1 in 11 packs. War of the Elements booster boxes are selling for roughly around $80 apiece on ebay, and contain 24 booster packs. At 1 in 11 packs, the Landro's Lichling loot card would require just over $35 worth of booster packs, on average, to acquire.